If your house is built in Sydney before 1990, it is quite likely that your house will contain some form of asbestos material. Asbestos testing can identify potential asbestos containing materials within your house. Bonded asbestos when left and maintained in a good condition does not pose a significant health risk unless the asbestos containing material is deteriorated or disturbed such that it liberates fibres into the air. Many people are unaware that their house may contain asbestos and are at great risk of exposure to asbestos during renovations. If you’re buying a house in Sydney, consider an asbestos survey or have asbestos testing conducted on samples of the material by an asbestos consultant, prior to purchasing a property. Sampling material for asbestos testing may not be done due to the removal of small pieces required for laboratory analysis. In these situations we will presume that the material contains asbestos until sent at a later date for testing. The cost of asbestos testing is relatively inexpensive compared to that of the extra cost imposed to remove the asbestos safely. The cost of asbestos removal is generally underestimated and must be considered as part of the purchase price of a house if you are planning to renovate. 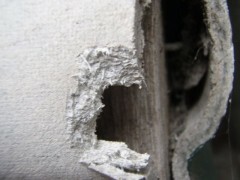 Asbestos testing also provides peace of mind as to confirm whether the material actually contains asbestos or not. 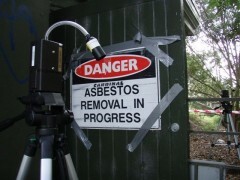 Testing for the presence of asbestos cannot be confirmed by just looking at the material with the naked eye. Asbestos testing involves viewing the fibres under a polarised light microscope under different conditions to confirm the type of asbestos if present. If there is significant damage to materials, asbestos testing the air can assess the relative risk of respirable fibres with that of the national exposure standard. Many Sydney councils also require an asbestos survey and asbestos testing to be carried out by a qualified person at the development application stage. This is to ensure that people are aware of the potential risk while renovating that house. 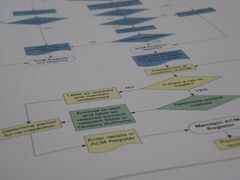 Once the results of asbestos testing are known, the results including the location and condition of the material is recorded within an asbestos register. If you are about to buy a house in Sydney and have not has an asbestos survey or asbestos testing conducted, you could be buying someone else’s asbestos problem. Please phone us for more information on asbestos testing and consulting. Safe Environments is located in Sydney, NSW and Melbourne Victoria. 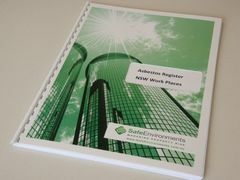 For further information please email: info@safeenvironments.com.au or contact our Sydney or Melbourne office listed below.